Digital Photography Book, Part 2 from Peachpit Press is the follow-up text to Part 1 of this series, and picks up on the same path of providing simple, straight-forward, and effective instruction. 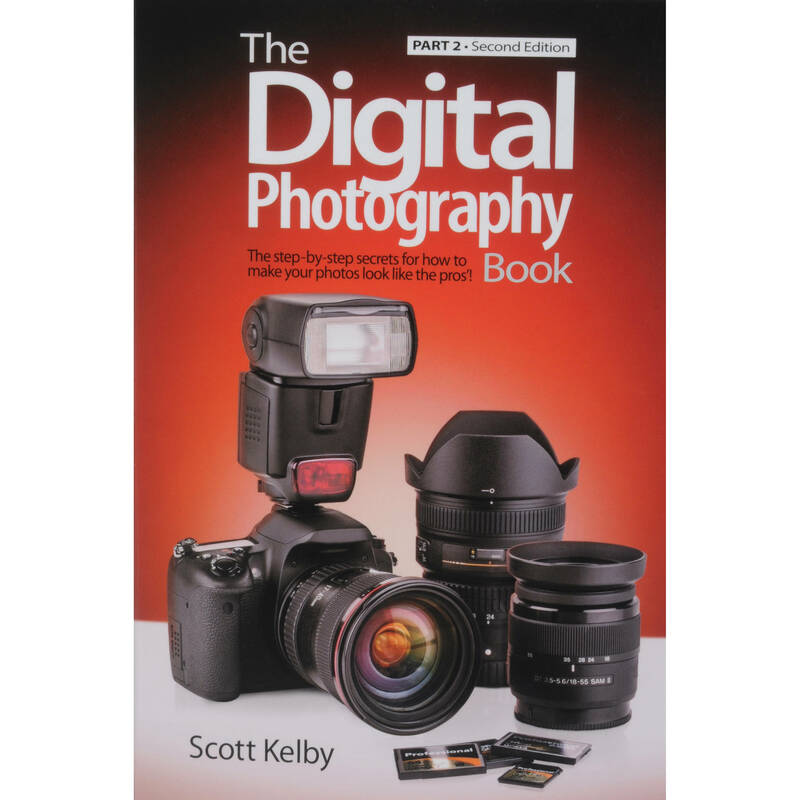 Authored by Scott Kelby, this 264 page book is designed to provide comprehensive instruction on how to achieve specific photographic techniques for different genres, such as portraiture, landscapes, macro, and wedding photography. The book also contains a series of "photo recipes", more than 200 tricks of the trade, and updated imagery to complement the text. Chapter Nine: Photo Recipes to Help You Get "The Shot"
Box Dimensions (LxWxH) 8.95 x 6.0 x 0.55"
Book: The Digital Photography Book, Part 2 (Second Edition) is rated 3.0 out of 5 by 2. Rated 3 out of 5 by Anonymous from Too dry Book is not what I was looking for. I am just getting into photography and was looking for a book that gave information on how to take pictures and the settings, not how they were taken. Kinda like give a man a fish and feed him for a day, or teach him to fish and feed him for a life time. Rated 3 out of 5 by Jane from Nice This book gives generalized information. It was not what I was looking for but it does give some helpful info.